Pro-dancer Cooley Jaxson says he was one of the people to show him the move. There are countless reasons why Michael Jackson is a pop culture icon. His "moonwalk" dance move is just one of them, and the King of Pop had help learning this signature showstopper. Professional dancer Derek "Cooley" Jaxson says he was one of the people who showed Jackson how to do the "moonwalk," which he said was based on a different move called "the backslide." "The backslide -- you slide backward and [you] make you look like you're walking forward. So it's an illusion," Jaxson said. "The moonwalk is in a circular motion ... like you're floating in air. ... And you keep continuing in a circle. "The moonwalk was coined from Michael Jackson," he added. "That was a whole different dance move." 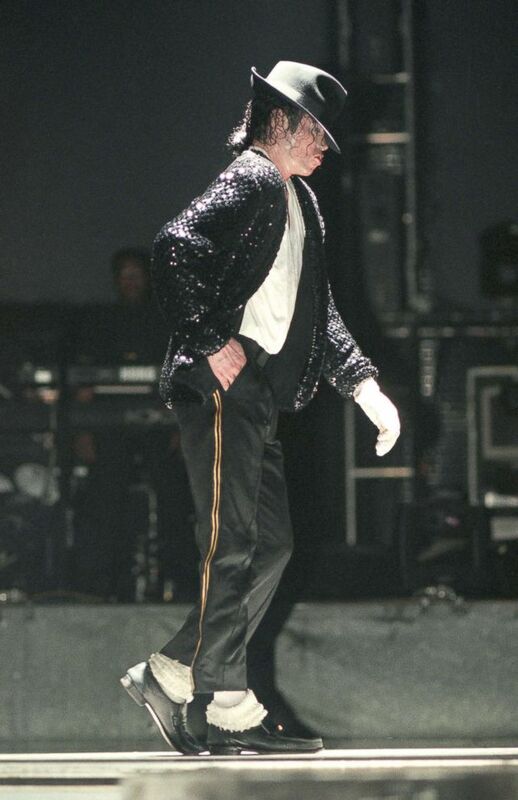 (Phil Dent/Redferns/Getty Images) Michael Jackson moonwalks while performing on stage on his HIStory tour in Dec. 1996. Jaxson made a name for himself in the early '80s as a regular performer on TV shows like "Solid Gold" and "Soul Train." He said Jackson's manager at the time came knocking on their door after seeing Jaxson and his fellow dancers perform on "Soul Train" and said Jackson wanted to learn the backslide. "Once we got the chance to finally teach him [Jackson], he kept saying, 'I can't feel it. I can't feel it,' and we're like, 'Feel what? You just do it,'" Jaxson said. "[And Jackson said] 'No, no, you don't understand. I can't feel it.' ... He wanted to feel that slide. He wanted to feel like he was moving forward but going backward. And once he got the feel, from my understanding, that's when he performed on 'Motown 25.'" Jackson performed the moonwalk for the first time in public on March 25, 1983, in front of a live audience at the Pasadena Civic Auditorium, but the rest of the country watched his performance when it was broadcast two months later in the TV special, "Motown 25: Yesterday, Today, Forever." While Jackson's "moonwalk" was his most famous, the "Smooth Criminal" lean is also a legendary Jackson move. "Smooth Criminal" was one of the hit songs on Jackson's 1987 "Bad" album. During live performances of "Smooth Criminal," Jackson and his dancers leaned at a gravity-defying 45-degree angle thanks to a special patented shoe design. It was also featured in his film "Moonwalker." "In 'Smooth Criminal,' which we had the pleasure to dance with Michael Jackson, we do the actual moonwalk," Jaxson said. "It's not said or coined as 'the moonwalk,' but we do the lean down to the ground, we come back up, and we go into a circle and that's the moonwalk."